We love our parmesan pasta recipe and we make it quite often.This time, I decided to add bacon and sautéed butternut squash to it. It was delicious! 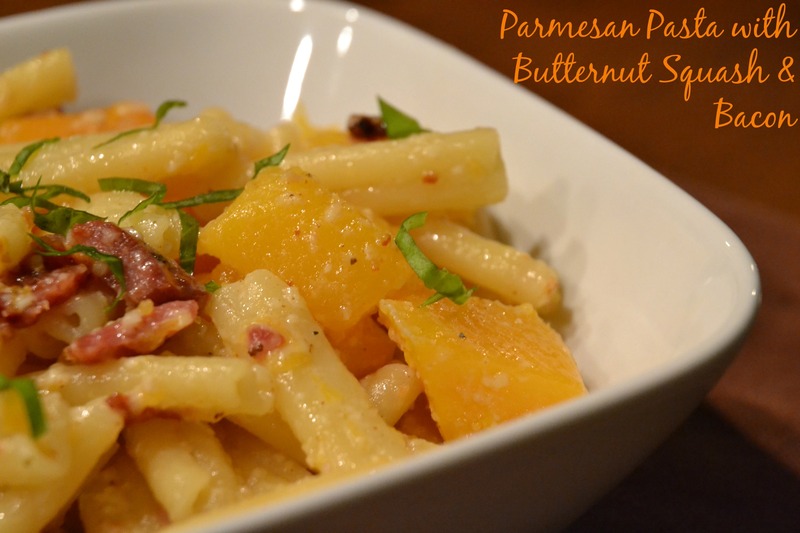 The sort of sweet, creamy butternut squash mixed with the salty and crunchy bacon and the always delicious parmesan pasta…this dish is amazing. The unfortunate thing was I pretended that I was eating something really healthy because of the squash so I ate way too much. Freshly grated Parmesan cheese for garnish, along with fresh herbs if desired. 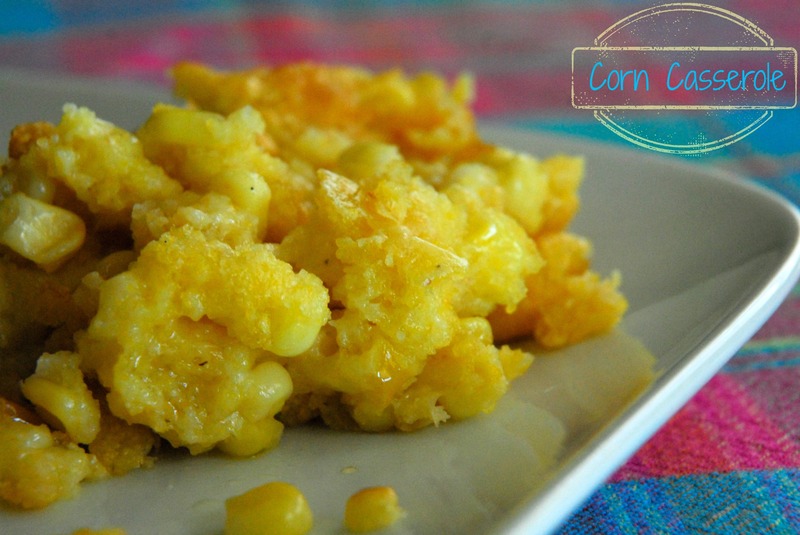 I started out with pre-cut organic butternut squash from Costco – so easy! After frying up the bacon, I scooped out most of the grease. I probably kept about 1 T of bacon grease in the pan. I added a chopped red onion and garlic and I cooked it for about 1 minute. I then added about 1 pound of cubed butternut squash. Sauté for several minutes, until soft. Add about 1/2 tsp of salt and 1/4 to 1/2 tsp. red pepper flakes and continue cooking, until squash is soft. 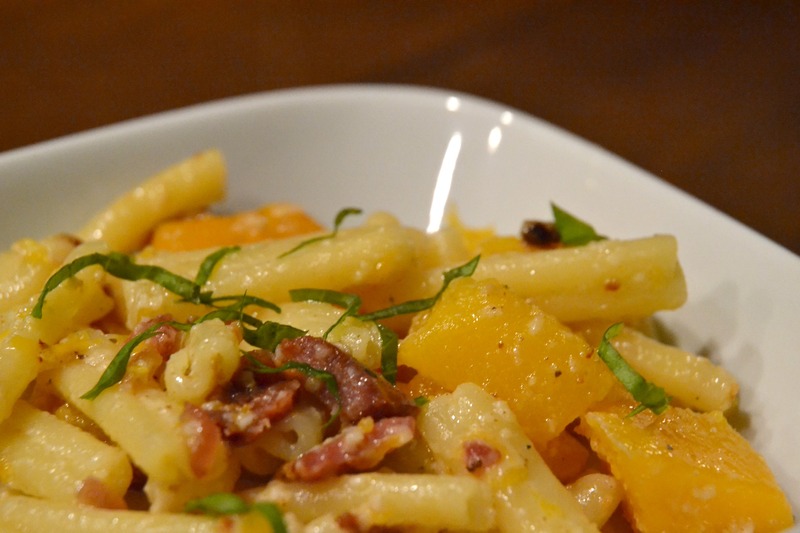 Once the squash is to the desired consistency, add the chopped bacon, and set aside until the rest of your pasta is ready. Cook pasta following package directions. While the pasta is cooking, prepare the sauce: put all of the sauce ingredients into a large measuring cup and heat it in the microwave. It normally takes about 2 minutes, but you want to watch it – you don’t want any of that yummy goodness to boil over and end up in the microwave instead of on your pasta! So I normally microwave it for one minute and check it and then just let it sit until the pasta is finished and then heat it for the next minute once the cooked pasta is drained and back in the pot. Pour the completely melted and sort of bubbly sauce mixture over the top of the cooked pasta and mix well. Add the 1/2 cup of Parmesan cheese and mix well. Then add the bacon and squash mixture and mix again. When serving, we grate a bit of fresh Parmesan cheese over the top and if we are feeling particularly fancy, we add some fresh herbs such as basil or Italian parsley. And now in honor of Thanksgiving, here are a few recipes that would be perfect to complete your delicious Thanksgiving spread! 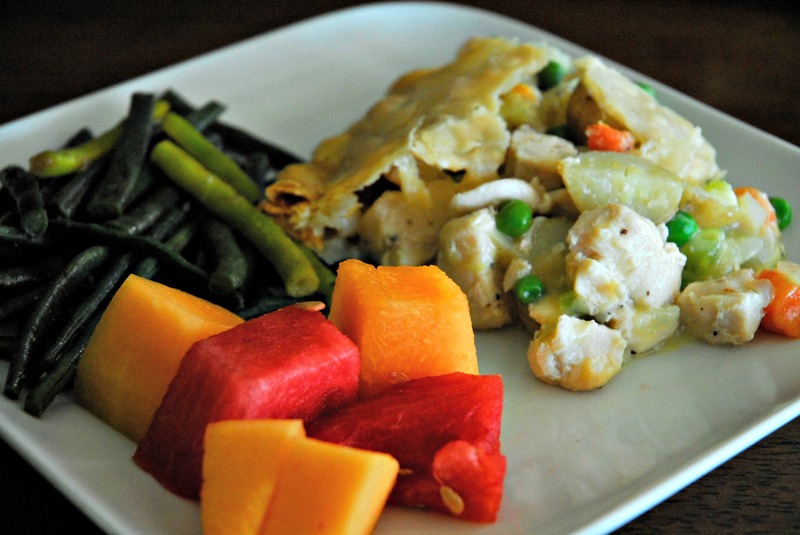 Chicken Pot Pie– just substitute turkey. This may be one of the more surprising successful recipe attempts. After I baked it, I was pretty much resigned to the fact that it was going to be a failure. The ingredients are a little unusual, and, frankly, the cake isn’t very pretty. But! It’s absolutely delicious! 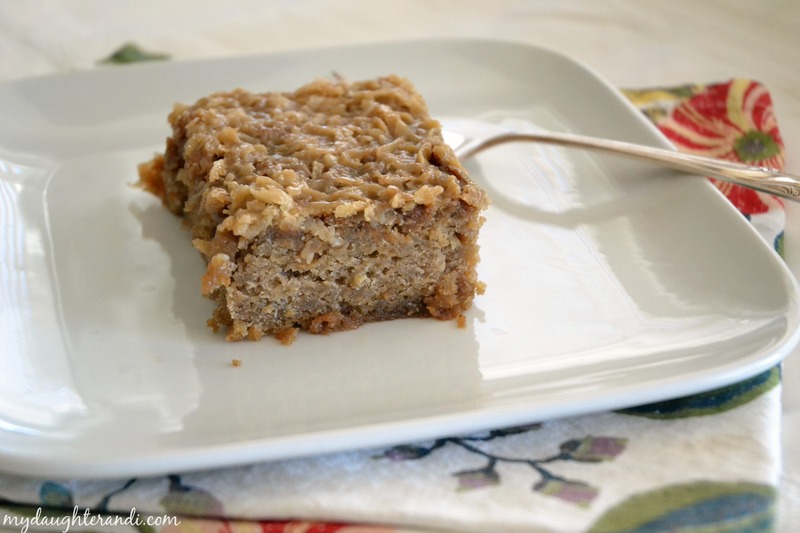 The cake itself is super moist and the brown sugar flavor is prominent and yummy. And the unusual, caramelized topping is delicious. 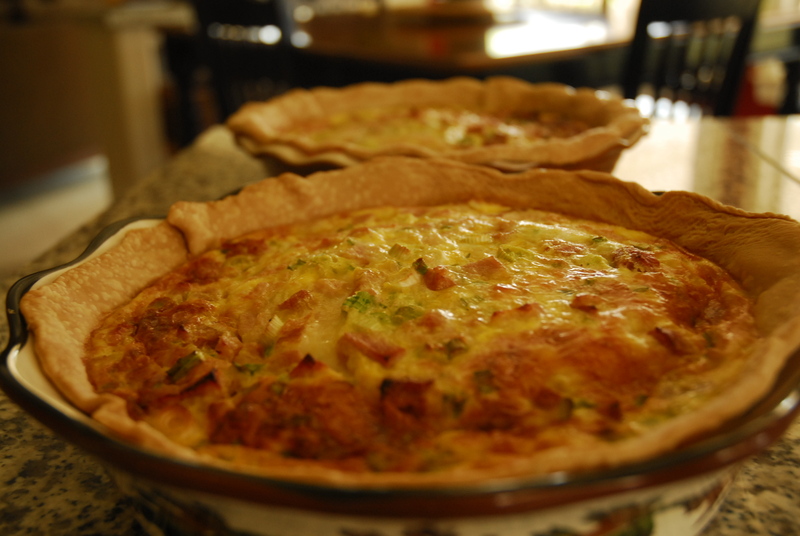 This is a definitely a keeper recipe- everyone loved it. 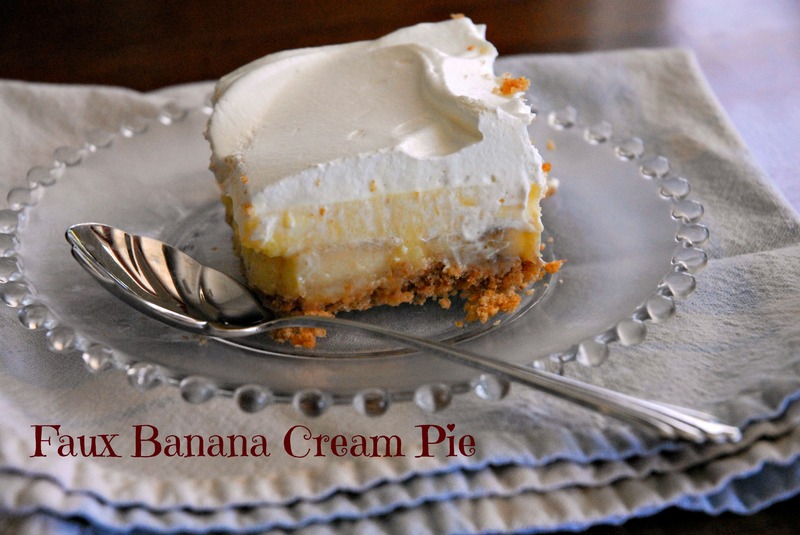 We ate it with a little squirt of whipped cream and that only added to the yumminess. Preheat the oven to 350°F. Spray a 9×13-inch baking dish with nonstick cooking spray. Combine the water and the oatmeal and allow to soak while you prepare the remaining ingredients. Cream together the butter and both sugars. Beat in the eggs. In another bowl, mix together the flour, cinnamon, baking soda and salt. Add half of the flour to the creamed butter mixture, followed by the soaked oatmeal, then the remaining flour, mixing between additions. Pour into the prepared baking dish and bake until set, 38-42 minutes. For the topping, turn the oven to broil. Combine the butter, brown sugar and milk in a saucepan. Bring to a boil, while stirring. Boil for one minute. Stir in the coconut. Pour over the cake, spread, then broil for one minute. 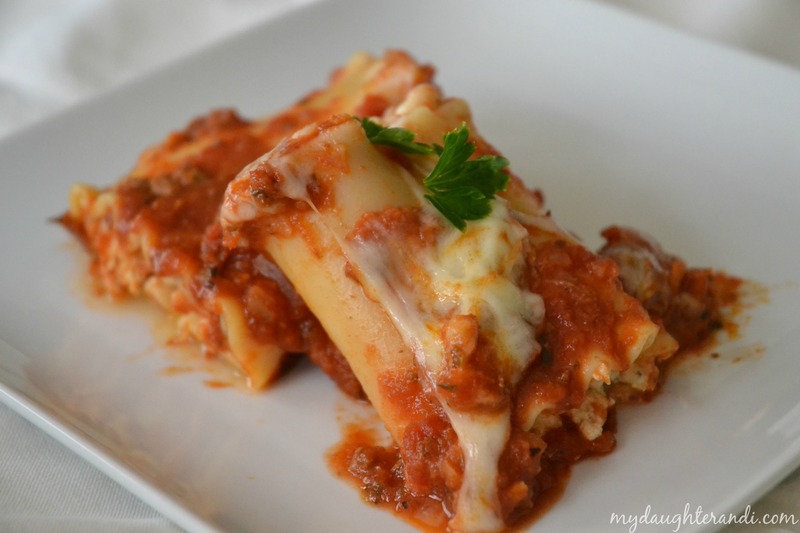 I love lasagna – it is one of my all time favorite dishes! This lasagna variation is hardly gourmet and I can barely call it homemade, but it was easy and delicious! I realized I had some ricotta cheese and a block of mozzarella that were almost passed their sell by date and I knew it was time to make something yummy! I dug through the pantry and found a box of lasagna noodles and a jar of spaghetti sauce. The recipe calls for two jars of sauce, but I had some leftover spaghetti sauce with ground beef in it, so I used it along with the jar of sauce. 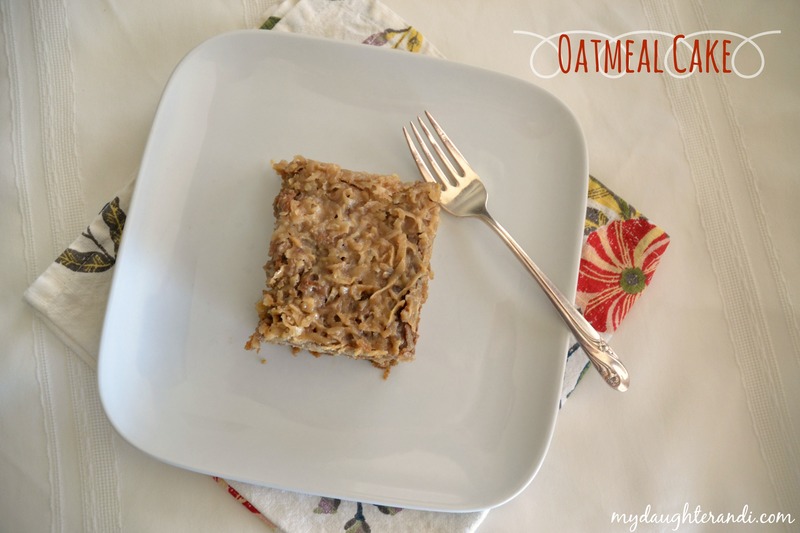 I threw this dish together in a matter of minutes – really! I cranked the crockpot to high and by the time we got home from church we had a delicious Sunday lunch to enjoy! I love days like that, don’t you? 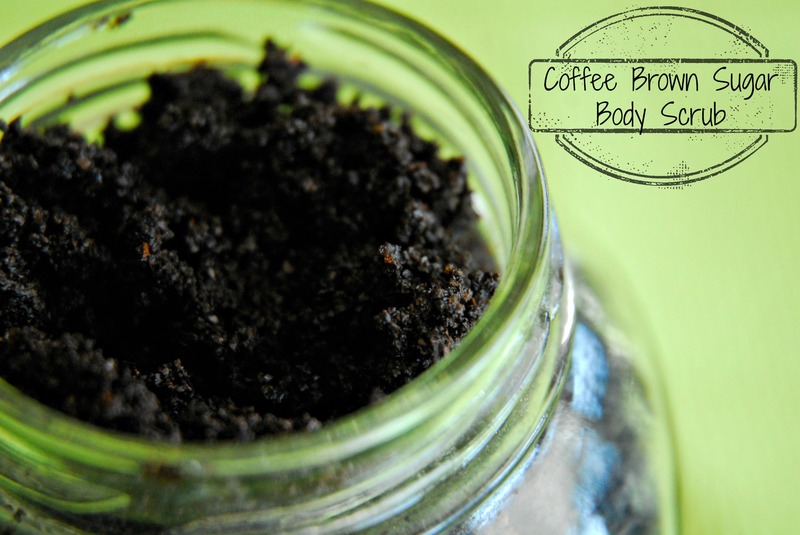 This post is part of the monthly link up party Our Growing Edge. This event aims to connect food bloggers and inspire us to try new things. This month is hosted by Christine and Kath over at Garden Eats. Cook the lasagna noodles, al dente. I prefer my noodles to be firm. The noodles will cook a bit more in the crockpot. Drain and set aside. Mix together ricotta cheese, eggs, half the shredded cheese, parmesan and 1/2 tsp. Italian seasoning. Pour one jar of spaghetti sauce in the slow cooker and turn on. Lay the cooked lasagna noodles on a cutting board a couple at a time. Plop about 2 tablespoons of the ricotta mixture at one end of the noodle and carefully roll up. 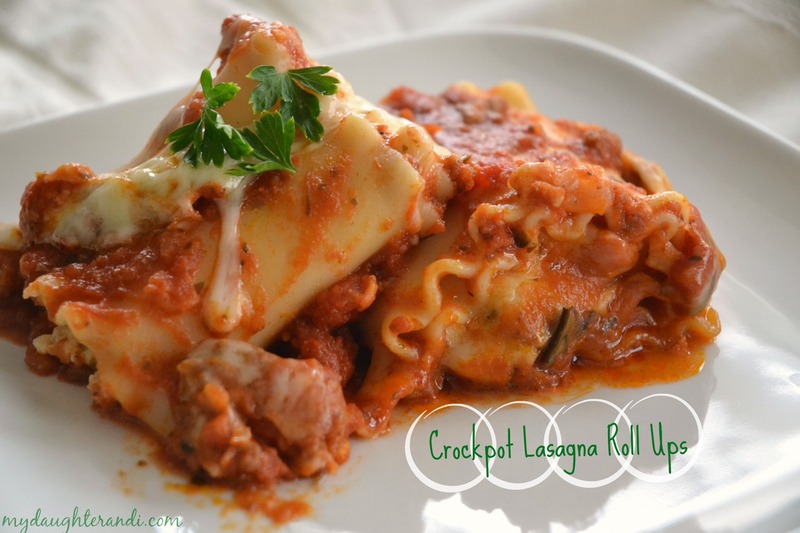 Place the lasagna rolls in the sauce in the slow cooker vertically. Continue until the slow cooker is full, just a single layer. Don’t double stack the roll ups. The roll ups will expand a bit. I was able to use the entire box of noodles. Pour the second jar of sauce over the top of the roll ups and shake on some additional Italian seasoning. Top with the rest of the shredded cheese. Cook on low for 4-6 hours or on high for about 2 1/2 to 3 hours. 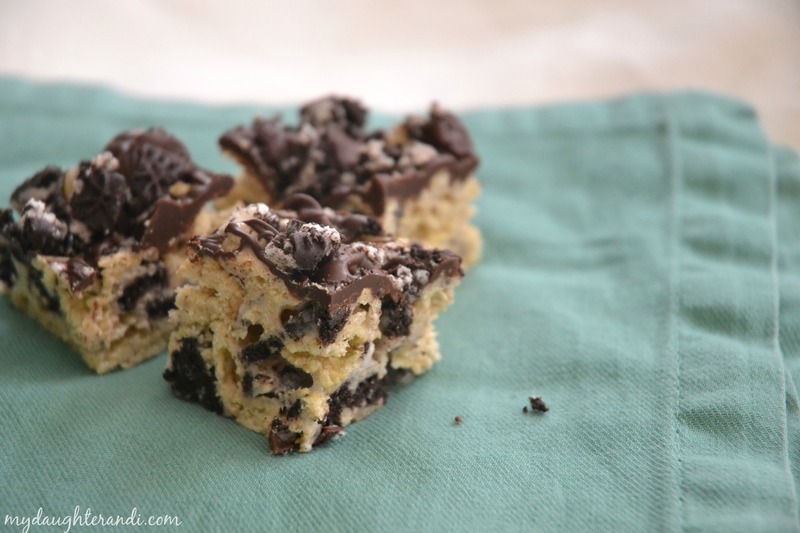 Throwback: Cookies & Cream Chex Bars- Gluten Free! I was asked by a friend of mine to make several desserts for a party she was having. The catch was that she asked me to make one of the desserts gluten free. I also needed to make the desserts portable and easy to eat since it would be an outdoor/casual event. I have to admit that I’m not at all familiar with gluten free recipes so I was stumped. 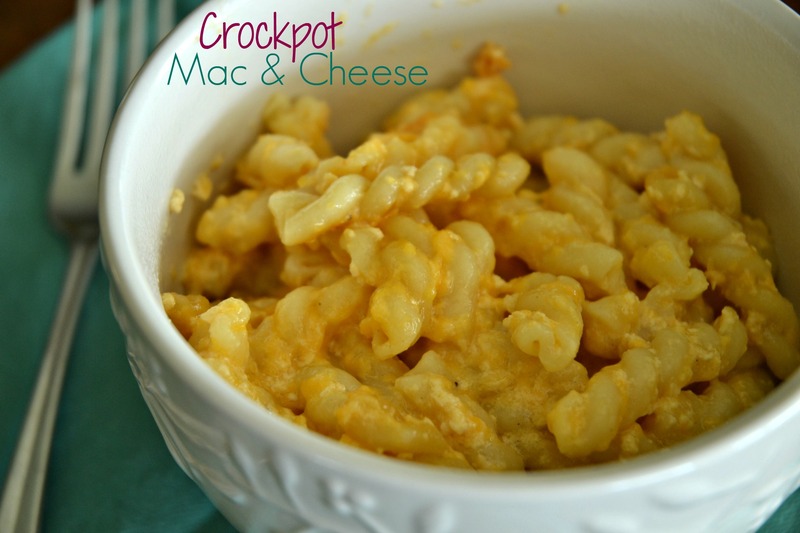 However, I found this delicious looking recipe on Iowa Girl Eats and knew it was the one to try. The bars came together easily and the flavor was good. I was skeptical of the gluten free “Oreos” and they really weren’t bad. I found them in the baking aisle at Walmart too, so that was great. The crushed Oreos and the extra chocolate on the top made them look a bit better – but they still weren’t the most attractive dessert ever. Once they were all cut up and on the cute platter – all was good. 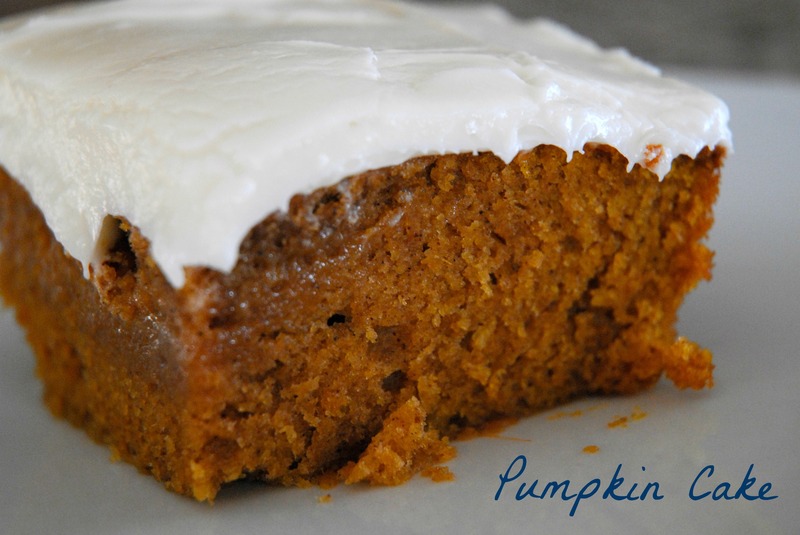 The dessert were a huge success and I would make this recipe again for a quick and easy dessert. 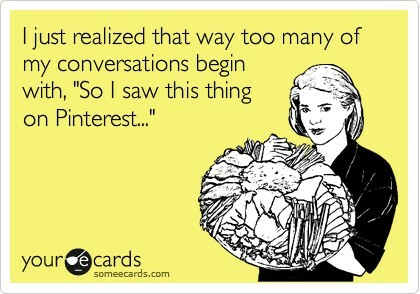 It also made a ton which is nice when attending a party or potluck. 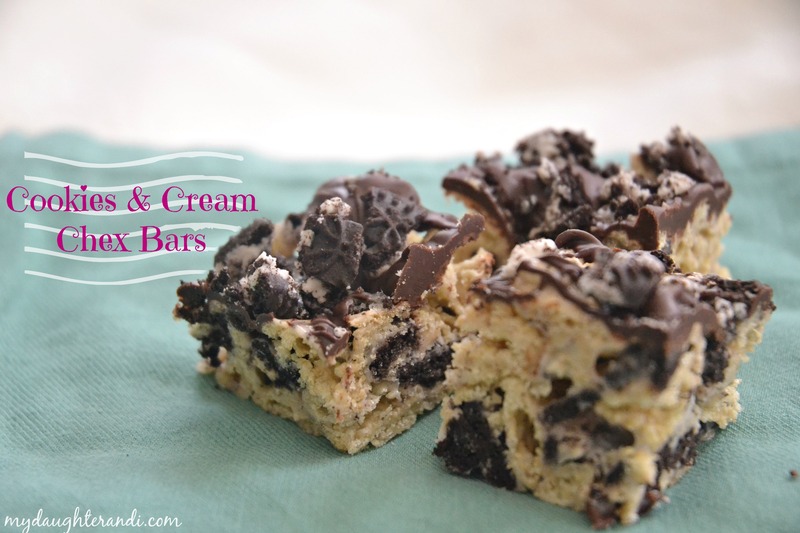 Another bonus was that these are no bake bars, which made them even easier. I also made lime squares and oatmeal raisin cookies with white chocolate chips and macadamia nuts, which are quickly becoming one of our most favorite cookies! Roughly chop 16 Oreos then add to a very large bowl with the Chex and set aside. Chop remaining 4 Oreos a little more fine then set aside. Add butter to a microwave-safe bowl then microwave for 30 seconds or until melted. Add marshmallows then stir to coat and microwave for 1 minute and 20 seconds. 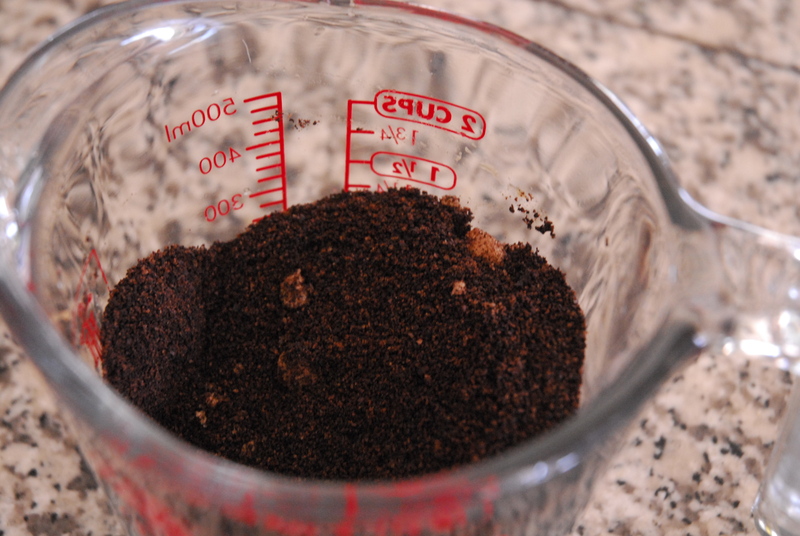 Stir until smooth then immediately pour over Chex mixture and mix until evenly coated. Scoop into prepared baking dish then press into an even layer, I used a piece of wax paper with a bit of nonstick spray on it to press the mixture evenly into the pan. 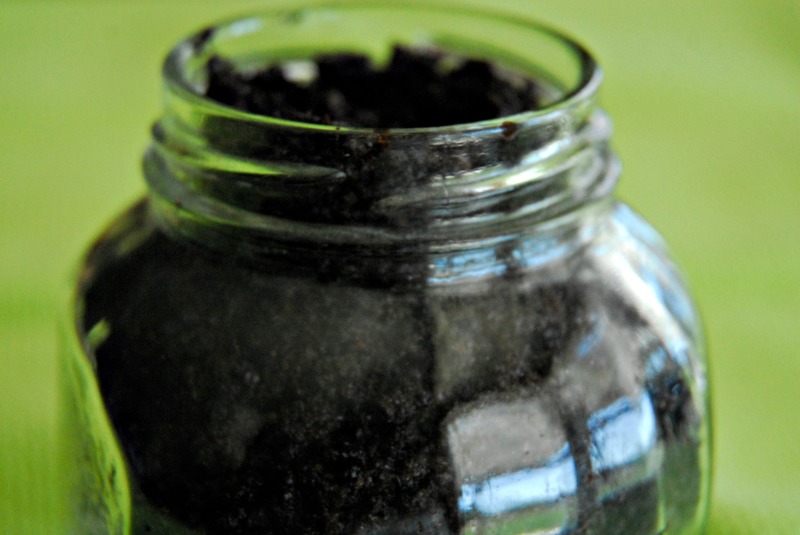 Melt the semisweet chocolate chips in a microwave safe bowl for approximately 2 minutes. Stirring every 30 seconds – don’t over heat it. You just want it melted enough to drizzle over the top of the bars. 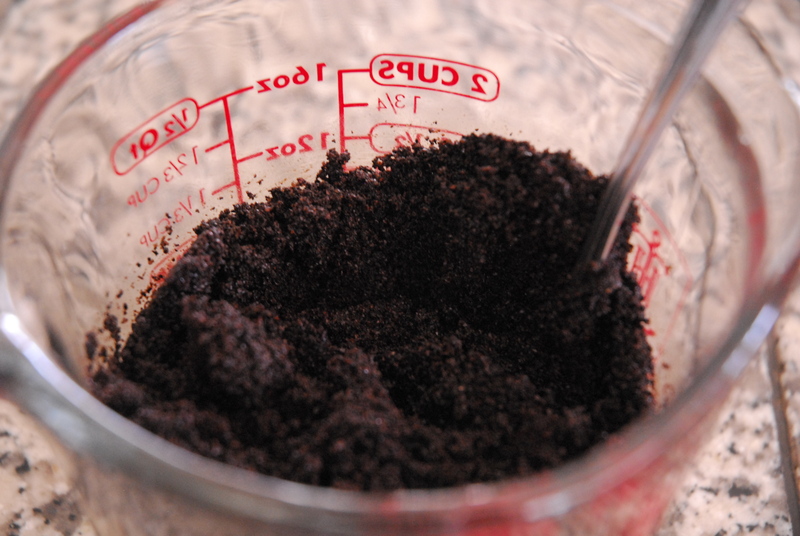 Drizzle the melted chocolate and then sprinkle the crushed Oreos and lightly press so they stick. Allow the bars to cool completely before cutting into squares. I was able to cut into about 4 dozen squares.